Denzel Washington, the world’s youngest-looking 61 year-old, ruled the box office yet again. This is a feat he has achieved across three decades, 14 times in all. 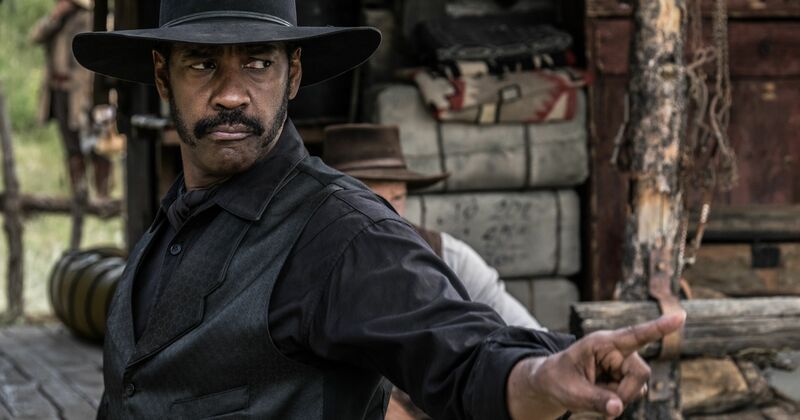 He and Antoine Fuqua have another hit on their hands this fall, as their remake of “The Magnificent Seven” trounced the competition rather handily, raking in about as much as the next two finishers combined. Audiences dug what they saw of the latest Washington-Fuqua collaboration, which opened just a hair above their last flick, 2014’s “The Equalizer” ($34.1 million, equivalent to a slightly larger $36.6 million in today’s dollars). The duo must really have a thing for Charles Bronson, since that movie was basically just a combination of “The Mechanic” and “Death Wish.” Chris Pratt was a decent draw too, but when the final figures came out yesterday, it was pretty clear whose movie this was. Sony’s $90 million “Seven” pulled in a solid average of $9,526, and it should ride good audience buzz to at least a $110 million finish, if not a bit more. The next few weeks are fairly light on major popcorn fare. Denzel proved his mettle once again as a major box office draw. He clearly numbers among the top movie stars in the country, able to open a picture purely off his name. I’d say Washington, Jennifer Lawrence, The Rock and DiCaprio in some order are the four biggest movie stars in North America right now. Interestingly, of these actors is at least 15 years apart in age, indicative of their ability to appeal to many demographics between them. There’s no way this puppy hits my initial $110 million prognosis for its final gross now, having missed the $25 million mark I pegged for it, which itself was a bit below its studio’s performance expectations. Warner Brothers will be happy to see “Storks” hit an $80 million final, not great for a $70 million animated excursion with very little competition for kid dollars and a marketing budget that’s probably almost as hefty as its reported production budget. Well I was pretty close here. After tacking 430 additional theaters onto its total in its third weekend in domestic theaters, the $60 million Clint Eastwood hit has amassed $92.1 million thus far, and will break the $100 million threshold by Saturday. No matter where it goes from there (and my $140 million prediction for its final gross is beginning to feel a bit optimistic, barring an Oscar-time theatrical reissue), it will most likely wind up as the 86 year-old Dirty Harry’s third-biggest domestic directorial hit (after “American Sniper” and “Gran Torino”), unadjusted for inflation. “Sully” needs to beat the $127.9 million adjusted stateside take of 2003’s “Mystic River” if it wants to break into Clint’s adjusted top ten hits list as director. I still think the odds are good for that happening, too. I was rooting for “Snowden” to take the #4 spot from “Bridget Jones” this weekend, because I like original, topical content and Oliver Stone. Sadly, it was not to be. “Bridget Jones’s Baby” bested “Snowden” by about $600,000, en route to a $16.6 million 10-day sum. That gross still stands as a massive disappointment to Universal, who had been desperately hoping to recapture the magic sleeper success of the original “Bridget Jones’s Diary” in 2001. “Bridget Jones” will crawl to a $25 million final gross, well shy of its $35 million price tag. Shareholders can take solace in the fact that it’s already made $84 million worldwide, with more international dollars to come. Oliver Stone’s latest political thriller has pulled in $15.1 million after two weeks, and probably doesn’t have many more US dollars to take in. The $40 million dud from Open Road Films has been clobbered in its target demographic by “The Magnificent Seven” and “Sully.” It will be lucky to hit $25 million.